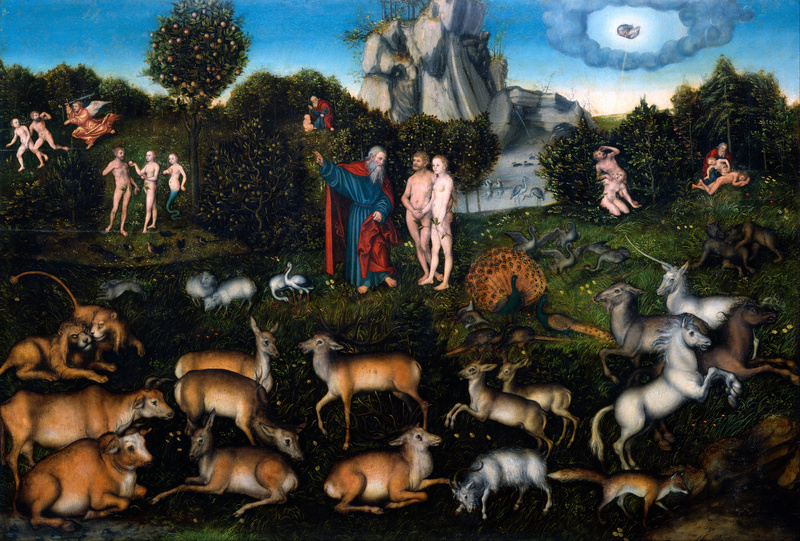 Nearly every theologian agrees that Adam’s first state in the garden was never meant to be his final. Adam (though he was created in innocence) was created in a state of testing. He was created in a state of probation. It was a state that was meant to be confirmed through obedience. How do we know this? Well, we can see this from the fact that God placed Adam in the garden with the choice of obedience or disobedience. In other words, Adam could have obeyed God, or rejected God. And, should Adam obey, he would be confirmed in eternal life. Should he disobey, God told him he would “surely die” (Gn 2:17). What this indicates is Adam’s actions were meant to confirm him in a state of life or death. In a state of condemnation or eternal reward. This tells us that God was testing Adam. That he was putting him on trial, as it were. And that his final state rode on the outcome of this test. Now, most of us know that God’s testing of Adam involved him permitting Satan to enter the garden and threaten the safety of him and his wife. We cannot overstate the threat that Satan posed to the couple. We cannot overstate the deadly desires that Satan had for this small family. One might question, why all this testing? Why the probation? Why the threatening presence of Satan? What exactly was God’s purpose in it all? Scott Hahn, in his excellent A Father Who Keeps His Promises, proposes a grand purpose for this testing. Hahn suggests that God tested Adam’s safety and security to see just how far his obedience would go. In other words, God confronted Adam with a trial, to see if he would love and obey his Father, even at the threat of violence and death. In other words, Hahn proposes that God allowed Adam to be left vulnerable in the face of the devil, in order to see how he might react. Would he love God even if it meant that he martyr himself (hypothetically)? Would he trust in God’s strength? Would he protect his bride even if it mean confronting the face of evil? Would Adam, ultimately, give of himself in love for his bride to the Father? Of course, we know that Adam did none of this. In fact, as the serpent entered the garden, he approached Eve and not Adam; and rather than stepping in and confronting the serpent, Adam stood by doing nothing. Adam was entirely passive, choosing comfort rather than martyrdom; choosing the wide road to destruction rather than the narrow to life. And so what Adam failed was a test of sacrificial love and obedience. He failed to love God even unto death. He failed to risk his comfort, even his life, for his beloved. Ultimately, we see that Adam’s “fall from grace” was not outright rebellion, but cowardice and passivity. And so, Adam failed by refusing to risk his neck and fight the serpent in sacrificial love. Adam failed by loving his own comfort rather than loving God above all else. Adam failed by protecting himself rather than protecting his bride. God had tested Adam by calling him to imitate Divine self-giving love; the same love communicated in the Trinity. And rather than confirming his love for God, and ascending into glory, he chose to love himself. And for that, humanity fell into a state of sin and cursedness. Now, what is interesting here, is that what Adam feared in disobedience (death and pain), he reaped as a result of disobedience (death and pain). We see this in God’s curse of Adam and his progeny. God sentenced Adam to spiritual and physical death; to toil and pain. And so, in attempting to protect himself, Adam lost his life. And not just his own, but the life of his descendants was lost as well. All humans born, are born devoid of righteousness, in sin, apart from God; all because Adam chose to love and protect himself. What is so fascinating about this text by Hahn, is that he is saying that God imposed on us what would not willingly do ourselves. Since Adam would not willingly die, God cursed us with death. But he did not do this to avenge himself: as Hahn says, he did this that we might become fruitful. God imposed death on us, that we might learn to what extent love goes. Hahn says, God cursed us with death to “to teach us love”. So we see Christ as the new Adam, who in love, went to the point of death. He confirmed his obedience in love, even to the point of death, that we, his church, might come from his rib as his protected bride. And ultimately, as ones redeemed by a death of love, we are now called to suffer “even to the point of death” (Rev 2:10) for the world. In Christ, then, God’s curse is teaching us how to love as Adam failed to do! One of the most common passages thought of during the Christmas season is Matthew 1:18-25. This passage describes the birth of Jesus, and centers on his miraculous conception in the virgin Mary by the Holy Spirit. While the virgin conception by the Holy Spirit is by credal standards a “non-negotiable”, for quite some time I could not think of the significance of the virgin birth, or the role of the Holy Spirit in Christ’s conception. While we must affirm that the church from its beginning believed and held to the birth of Christ by the Spirit, what is so central about this part of Jesus’ birth? On the one hand, one could argue that Jesus’ conception by the Spirit preserves or establishes his divine origin. Or, one could argue that the Spirit’s conception preserves Jesus from original sin. Some theologians hold that the sin nature is passed down through the father. While these could be legitimate theological arguments (and I believe the first is), I think that, paying attention to the text, Matthew gives us a point of his own. In explaining the birth of the Christ, and the miraculous events therein, Matthew describes Christ’s birth as a “genesis”. Literally in the Greek, in verse 18, Matthew calls Jesus’ birth “the genesis of Jesus Christ”. Now this is a very interesting phrase to use, especially considering the fact that Matthew brings in the Holy Spirit as God’s power or hand in Christ’s “genesis”. The reason the Holy Spirit is so important in all of this is because the last “genesis” God accomplished was also by the power of the Holy Spirit. Genesis 1:2 tells us that the Holy Spirit was God’s power in the creation. What’s even more striking is that in Colossians 1, Paul tells us that God the Son, Jesus, was the person through whom God created the world. In Matthew 1:18, we see both the Spirit and the Son involved another type of “genesis”. Do you think that it is any coincidence that Matthew makes all these connections? I really don’t think so. I think what Matthew is saying in this passage is that God is making a new creation. And he’s doing it the same way as the old: through Christ, by the Spirit. In other words, what Matthew is saying in verse 18, is that in God the Son, by God the Spirit, God the Father is making a new creation. He is restoring this fallen world from the grips of sin, and doing it in his regular Trinitarian fashion. And so in the virgin birth, we find God making a new creation through the birth of Christ. God the Father declares that a new humanity (in Mary) should be created through Jesus, and by the Holy Spirit. Consequently no man was involved in Christ’s conception, because only God has the power create. And only God has the power to recreate his fallen creation. And so God the Father speaks, and it is done through Christ by the Spirit. And because of it, we find a new world unfolding in the birth, life, death and resurrection of Jesus! The genesis of Jesus (and of faith in Jesus) inside any human life, the apostolic witness almost unanimously teaches, is the work of the Holy Spirit, the Creator Spiritus, who began the world’s creation (“the Spirit of God swept over the face of the waters,” Gen 1:2), and who now begins the world’s new creation and it’s definitive salvation. The permanent value of the credal doctrine of the Spirit’s conception of Jesus in Mary is this; it is the Holy Spirit and not human initiative that brings Jesus into personal life (then Mary’s, now ours). 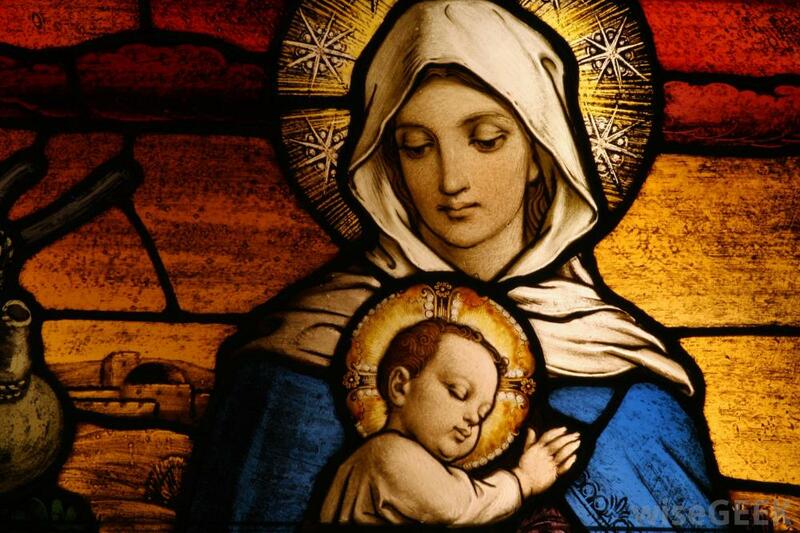 When Jesus comes to anyone in history, even in his Advent coming to Mary, it is always the work of the Spirit, not of human preparation or enterprise. Every conversion is a virgin birth… The Holy Spirit, in other words, is the miraculous how of New Life. Mary’s virginal conception by the power of the Holy Spirit teaches this thrilling doctrine of the Holy Spirit pictorially. What an interesting observation that Bruner makes here, “every conversion is a virgin birth”. Indeed, when we are saved, God speaks, and initiates a new creation by his Spirit through Christ. This recreation was started at Christ’s birth, and is finished in our miraculous new birth in Christ. “If anyone is in Christ, he is a new creation” (2 Cor 5:17). Genesis 32 has always been a chapter dear to me. In it, Jacob comes face to face with his past. Since the start of his life, Jacob’s life was full of deceit and lies. He was the type of person that made his way in life by taking from others; he was a characteristic trickster. He was also the type that would divert responsibility to others. While his older brother Esau was out hunting, providing for his family, Jacob was home. In fact, Genesis 25:27 describes him as a “quiet man, dwelling in tents”. Suffice to say, you would not find Jacob out hunting for food, but rather spending time in the kitchen with his mother. He was a bit of a coward. Jacob’s irresponsibility and trickery climaxed in his swindling of the birth right that belonged rightly to Esau. In fact, he did this by dressing up like his brother, and tricking his father into blessing him (Gen 27). Because of this, Esau was enraged and threatened to kill his brother (Gen 27:41), and Jacob was sent away by his mother into hiding. Jacob’s lying and scheming had made him an exile. And in fact, Jacob never returned home for fear of his brother. And as a result, that part of his life became a burden that he simply couldn’t shake. It was a sin that he had always tried to run from. And when we arrive at Genesis 32, we find that Esau, his brother, had found where his brother Jacob was living; and, Esau desired to confront him (Gen 32:6). This reasonably made Jacob fear for his life (Gen 32:8); that all his past sins had come back to condemn him. How was Jacob going to rid himself of his past? How could he appease his angry brother? Interestingly enough, Jacob tries to buy off his brother by giving him gifts (Gen 32:13-21). Jacob did this, thinking that just maybe, Esau would “accept [him]” (Gen 32:20). Jacob was trying to atone for his own sins against Esau by way of bribery! He was trying to satisfy Esau’s anger by providing gifts. He was trying to purchase his own redemption. After having sent the gifts, Jacob waited anxiously for his brother’s response all night long, alone (Gen 32:24a). How much his conscience must’ve tormented him! One could picture him as wrestling with his own conscience throughout the night. 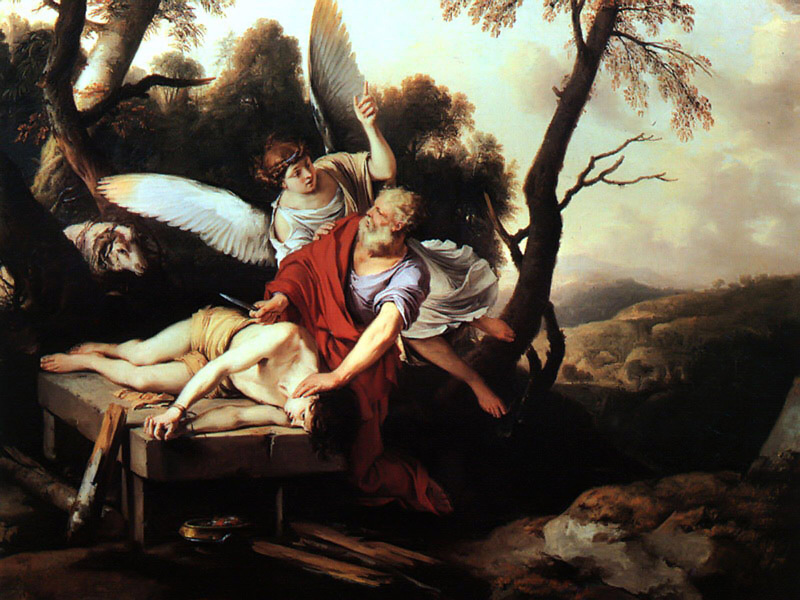 As he waited in agony, Jacob was interrupted when a person began to wrestle with him. Ironically, as Jacob wrestled with his own sin, this man began to wrestle with him. Hopefully you can see the symbolism here; as Jacob was trying to subdue his own sinful past, this man was subduing him. In fact, the struggle was so real, and so hard, Jacob’s hip was immediately dislocated as result (Gen 32:24-26). I think at this point, Jacob figured out that this man wasn’t merely human, but divine. He didn’t have normal strength, but a supernatural strength. This was God forcing Jacob into submission to his divine will (Gen 32:30). God himself tackled Jacob in order to communicate something very important: as Jacob tried to wiggle himself out of his past, God was willing to redeem him from his past. While Jacob was trying to appease his own conscience, God was willing to cleanse his conscience. And it took the pain of a dislocated hip to realize this. Jacob came to apprehend this, and rather than simply giving in, he asked for a blessing from his divine opponent. God was pleased to do this. And it’s interesting that God not only blessed Jacob, but he renamed him. God made him into a new person. He gave him a new identity. I think that this detail cannot be overlooked. Right in the middle of a personal struggle to rid himself of his sinful past, the God of the universe struggled with Jacob to redeem and make him a new creation. And I think we learn from this episode that Jacob had to learn to stop trying to escape, lie, or atone for his past sins and submit to justifying grace. 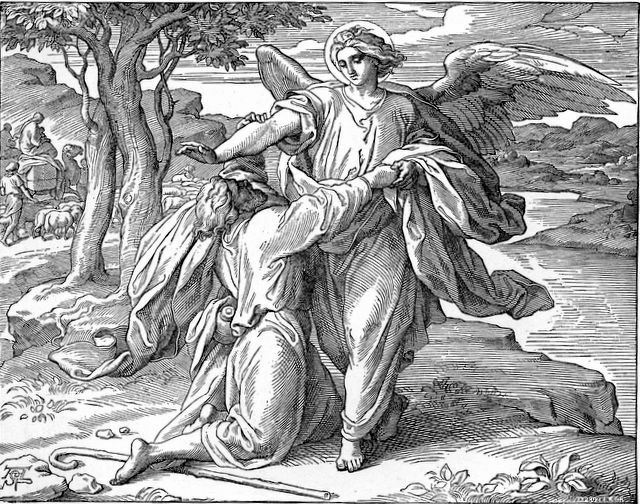 Jacob needed to submit to the subduing grace of God for sinners. Amazingly, the next day, Jacob felt a new courage to approach his past (Gen 33:3). And, rather than receiving condemnation from Esau (what he justly deserved), Jacob received a warm embrace (Gen 33:4). This was confirmation for Jacob that God himself had forgiven him of his sin. He says to Esau, “I have seen your face, which is like seeing the face of God, and you have accepted me“. Jacob knew that he was accepted by God! Is this not the same grace that God has for us all? Is it not a grace that wrestles us into a faith that trusts in God’s forgiving provision alone? It is! God wrestles with us every day to rest in the justifying love given to sinners in Christ; a justifying love that we, like Jacob, can neither buy nor work toward. It is a merit that comes through Christ’s own righteousness, and certainly, not our own. We find Mount Moriah first in Genesis 22:14, where Abraham named it “The Lord Will Provide”. It was named this after God had tested Abraham by calling on him to sacrifice his only son, Isaac. The test was incomprehensible for anyone. But it was even harder for Abraham because God himself had promised to miraculously conceive for Abraham and his barren wife. And in Genesis 21, God supernaturally provided this promise. But only a chapter later (perhaps when Isaac was only 10 years or so old), God commanded Abraham to sacrifice the boy back to God. We know this was a test by God to see if Abraham loved him more than his promises (Gen 22:1, 12); but certainly, Abraham didn’t know why God commanded him to give up what God had miraculously given him. After seeing Abraham’s great obedience (Gen 22:3-10), God stopped Abraham from killing Isaac, and instead provided a ram for him to sacrifice (Gen 22:13). For this reason, Abraham called it “The Lord Will Provide”. What this name is meant to convey is that God gave a ram to sacrifice in substitution for Isaac. Rather than having to kill his only beloved son (Gen 22:2, 16), Abraham was provided with a ram instead. Because of this, Mount Moriah was a place of substitution. And in fact, Mount Moriah continued to be this place of substitution. 2 Chronicles 3:1 tells us that on that very mount, God had Solomon build the temple for sin sacrifices. And in 1 Kings 8:29-30, Solomon prayed that God might continually look on the mount, and hear the prayer of his people on the basis of the sacrifices. Solomon was even so bold to say that God had chosen to put his name on this mount; and because of that, when Israel sinned and prayed toward the temple, Solomon asked that God might listen and answer them (1 Kings 8:44, 48-49). And so God continued to provide by way of continued sacrifice in the temple. He continued to substitute that his people may not be killed. But it does not stop there. While Abraham’s son was spared, and while God’s people were spared in place of a substitute lamb, Jesus was not. Jesus was killed right outside the temple on Golgatha in the very same region as Moriah. And Jesus was given as a substitute for the world. And in fact, John calls Jesus the lamb of God who takes away the sins of the world (John 1:29); and even more prominently, John calls him God’s only Son (John 3:16). What else could John have in mind but this substitutionary pattern found in the Old Testament? Indeed, the writer of Hebrews tells us that all of the stories in the Old Testament ultimately pointed to Jesus as the true substitution, for bulls and goats couldn’t take away sins–no, we need a better sacrifice (Heb 10:1-4). This sacrifice is Jesus. Rather than sparing his only Son as Abraham did, God gave him up, that we might be saved. And, God gave him as a lamb to be slaughtered for the people’s sins. Moriah, for God, was a place of substitution. It was a place where one dies in the place of another. And this place of substitution climaxed and was finished and fulfilled in the substitutionary death of Jesus. And he died that we might not die, but that we might be forgiven, cleansed of our sin, and received by God. This is part 1 of a two part post. You can view the second post here. Did God need to create the world to get more glory? Did God need to create us to get glory? In one way, this question is very simple: no he didn’t. But in another way, it’s a little more complicated. The reason it’s complicated is because the Bible tells us why God created the world: He created it for his glory. In Isaiah 43:6-7, God says, “Bring My sons from far away, and My daughters from the ends of the earth—everyone called by My name and created for My glory”. Psalm 19:1 tells us that even creation and “the heavens declare the glory of God”. 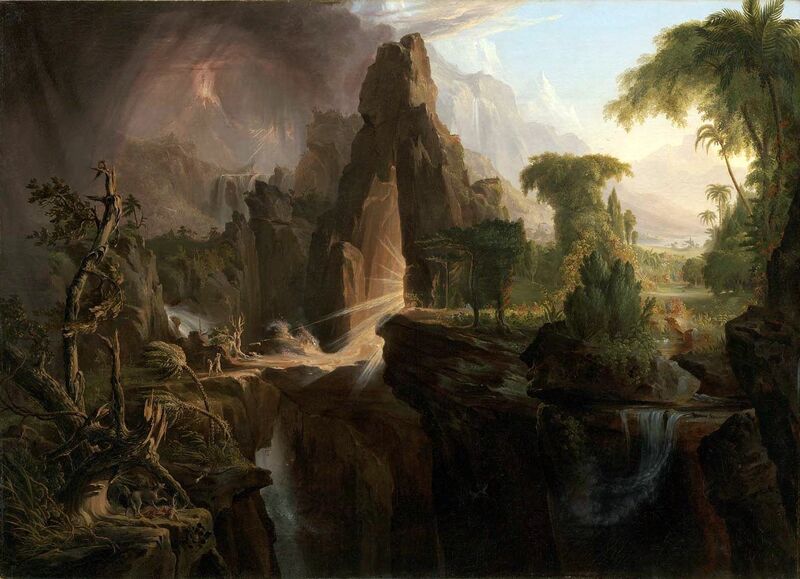 Contrastly, Paul explains that sin at its root is failing to bring glory to God — for though mankind “knew God, they did not glorify Him as God or show gratitude…Claiming to be wise, they became fools and exchanged the glory of the immortal God for images resembling mortal man, birds, four-footed animals, and reptiles” (Rom 1:22-23). And “all have sinned and fall short of the glory of God” (Rom 3:23). So we were created to glorify God, and humanity fell because we all failed to do this. But there is another side to this question that we need to address; because we must assume that God did not have to create anything to be anymore glorious than he already is. Jesus, while praying before his death, says in John 17:5, “Father, glorify Me in Your presence with that glory I had with You before the world existed“. Jesus makes an important clarification, that the Godhead already had glory before the creation of the world. The Trinitarian community had eternal, infinite, unceasing glory before any of us ever existed. Paul says in Acts 17:24-25, “the God who made the world and everything in it—He is Lord of heaven and earth and does not live in shrines made by hands. Neither is He served by human hands, as though He needed anything”. So God is not served by human hands, and he does not need us. This means that creation couldn’t possibly add to God’s eternal glory even if we wanted it to. God’s glory is totally self-sustained within his triune existence. So while the Bible affirms that God created all things for his glory, it also affirms that God has sufficient glory within his Trinitarian being to never create a single thing! How do we reconcile these two truths? I think the key here is to see creation is an overflow and expression of God’s glory. What I mean is that because God had such perfect love within himself, such infinite fellowship, and such eternal greatness, that it brimmed over. And the triune God wanted to create a world through which to further express and share this glory. So when the Bible tells us that we were created for God’s glory, it means that we were created to express and reveal this triune joy. We were created to be God’s icons, and to manifest the love so infinitely and perfectly expressed in the Godhead. In a very real way, all of creation is an overflow of the perfect triune life within God. That’s why we are created in God’s image (Gen 1:26-27). We were created to further manifest, display, and reveal the glory so greatly displayed in the triune God. This also makes sense when we consider God’s first act with Adam, which was to give him a person with which to share love and unity (Gen 2:24). Is not marriage a display of the unity and love found between the Father, Son, and Spirit? I think so. So creation then is an overflow, a brimming over, an expression and revelation of the glory already found in the Godhead. John Owen explains this well, saying, “The Father’s love for the Son is the fountain and the prototype of all love…and all love in the creation was introduced from this fountain to give a shadow and resemblance of it”. Richard Sibbes also says, “the Father so enjoyed his fellowship with his Son that he wanted to have the goodness of it spread out and communicated or shared with others. The creation was a free choice borne out of nothing but love”. For a more expansive view of how this affects our view of the gospel, and the purpose of the Christian life, I’d invite you to listen to this sermon I gave on God’s glory, The Purpose of the Christian Life.